Data appending and enhancement allows you to find new ways to communicate with your consumers (email, phones, online targeting, postal mail) and learn key behavioral and demographic attributes to segment and provide more relevant offers. Infutor’s data appending and enhancement service accesses their master data repository containing billions of consumer attributes including name, phone number, email address, postal address, demographics, and lifestyle information. By providing basic information such as name and phone number or email address, you can instantly gain a full 360˚ view of your consumers. Infutor provides a suite of data hygiene services to ensure your Customer Relationship Management system (CRM) is always current. Whether you are a marketer or fraud and collections specialist, you need the most current, up-to-date consumer information. 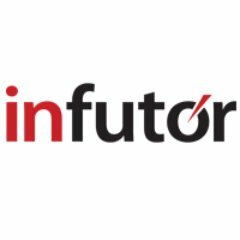 Infutor works relentlessly to provide the industry’s most accurate data assets, compiled and validated through a series of rigorous processes. Their data assets include consumer referential data, telephone data, consumer demographic data, nationwide real property data, email & digital data, auto owners data, bankruptcy listings, and deceased data. Infutor’s Data-as-a-Service (DaaS) Hosting Solution allows you to instantly interact with your own data and make real-time decisions, while minimizing the logistics and costs of data hosting and maintenance. Solutions can be customized to meet your specific enterprise goals and objectives, with fast and flexible program implementation. Data integration is the ability for a business to look at every data point within their organization, across all systems, technology and platforms to gain a single view of the data. This allows businesses to make critical decisions in real- to near-real-time, based on a consolidated view of all available information. Through Infutor’s InRichment 360˚ Data Integration Platform, they are able to provide you with a single view of all your consumer information. Using Infutor's referential data repository and specialized matching algorithms, InRichment360˚ performs several processes to apply a Persistent ID to your records. This PID allows them to quickly and accurately identify all individuals within your enterprise databases, linking duplicate individuals through the PID. PowerFlex is a dynamic, automated data processing engine that allows you to quickly run a variety of append and hygiene processes. Upload files, have data appended, cleansed, processed, output and ready-to-use all with a few clicks. No need to worry about large files or unsecured delivery platforms: Infutor provides you with a hosted FTP dedicated to sending and receiving your data in a secure environment. By accessing Infutor’s repository of unique and diverse consumer attributes, you will be able to segment and target the exact audience you need to most effectively market your product or service. Every business needs to start somewhere. Whether it’s launching a new product or service to an emerging market, or consistently delivering your message to the most targeted audience, prospecting is the foundation of any business. QueryFlex is a powerful online count and order application that gives you access to Infutor’s industry-leading compiled data within seconds. It allows users to precisely target prospects, using geography, demographics, and more — always with the choice to de-duplicate.